Garages have evolved right beside automobiles. Designed to protect the vehicles against the elements and would-be thieves, garages offer many benefits. Garage doors have also come a long way through the course of time. 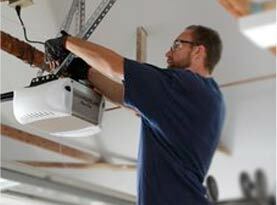 With the many features, safety measures, and commodities, the garage door opener alone has many different aspects. Being one of the measure components to an electric garage door, the garage door opener is something that needs constant care and maintenance. Once this part falls short, the garage door cannot open and close on its own and if the garage door is the primary entrance to your home, this could be more than nuisance. With that in mind, we at United Garage Doors would like to briefly discuss garage door openers. The Garage door opener is classified into three categories; Screw Drive, Chain Drive, and Belt Drive. Depending on the type of garage door it is opening, the classifications have their own benefits and advantages. If your garage door opener is in need of replacing, it is important you verify the garage door’s height and width, insulation and materials used for manufacturing; as these factors are required. Below you will find the basic specs concerning the different classifications of garage door openers. 1)	Ideal for single door tilt operating garage door. 2)	Less noisy than the other systems. Chain Drive Garage Door Opener: Installed as part of the unit fastened to a system of tension springs, the chain drive garage door opener systems have a chain that drives your garage door. 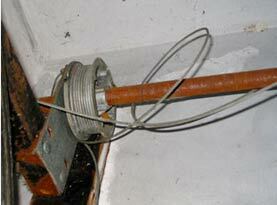 1)	This garage door drive system is one of the most frequently used. 2)	Designed to lift the heavier garage doors. 3)	Exceptional for most garage doors. Belt Drive Garage Door Opener: With a rubber belt that runs the length of the rail being the operation of the belt drive garage door opener system, it functions much like the chain drive. However, the rubber materials tend to run more smoothly without the clatter of metal on metal noises. 1)	This opener is ideal for garages architecturally placed near common living spaces. 2)	Ultimate performance and quiet operation. 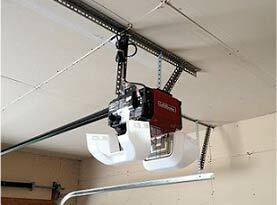 3)	Superior garage door opener drive system. 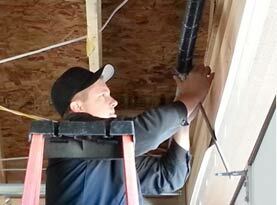 Determined by the currently installed garage doors is horse power. There are additional contributing factors that govern the horsepower in your garage door opener that is required to operate the garage door. –	Premium operation for heavy garage doors. –	Efficiency and power is superior. –	Fairly efficient in opening heavy garage doors. –	Durable motor designed for longevity. –	Lifting most garage doors is sufficiently successful+. –	Most commonly used garage door openers. There are other features that can be included into your garage door opener such as maximizing the light in your garage, by equipping the garage door opener with 100 watt bulbs, or LED bulb equivalent as well as keyless entry pad with either finger print entry or combination entry. If you are overwhelmed with the options to replace the garage door opener, call in the experts of United Garage Doors and let our experts do the rest.